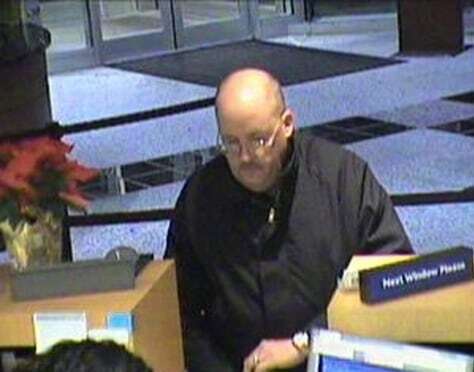 The "Granddad Bandit" is shown in surveillance video from 2008 robbing a bank in Virginia. Michael Francis Mara pleaded guilty in federal court Thursday Feb. 10, 2011 to robbing two Virginia banks and acknowledged two dozen other heists from New York to Texas. Authorities say Mara took more than $83,000, starting in Richmond in 2008 and ending with a North Carolina holdup the day before his Aug. 11 arrest. He was captured after a six-hour standoff with police at his Baton Rouge, La. home.